A Kansas City-based chiropractic practice that has begun franchising locations around the country will open its first Iowa location in Des Moines next month. But rather than leasing a retail storefront, the chiropractic clinic will be located at Mercy Medical Center - Des Moines campus to coordinate care and share referrals with Mercy physicians. The hospital-based chiropractic clinic approach was pioneered in the Midwest by chiropractor Jason Moss, an Iowa native and University of Iowa graduate who launched KC CORE in Kansas City in 2008 and now operates chiropractic clinics at five hospitals in the Kansas City area. The company recently opened its first franchised clinic location at a hospital in Fort Worth, Texas; Des Moines will be its second franchised clinic. Moss approached Mercy officials more than a year ago to bring the approach, which varies from the traditional chiropractic model of strictly adjustment-based care to focus more on science-based muscle work in conjunction with adjustments, to Des Moines. "We sat down and talked about the vision of what I could do, and they were really supportive of the idea," Moss said. "It's really a credit to them to look beyond the past (conflicts between chiropractic and traditional medicine) and to the future." The clinic at Mercy will be owned and operated by Blake Meyer, a chiropractor who is also an Iowa native. 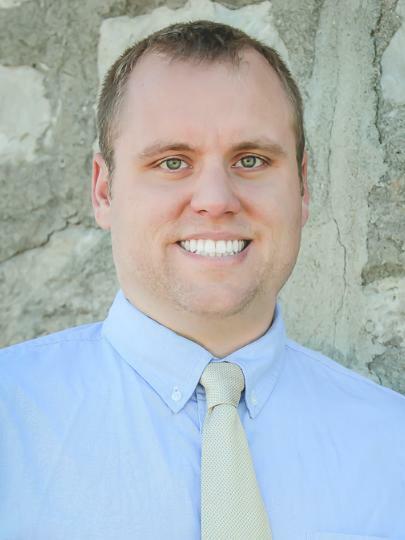 Meyer is a 2010 graduate of UI with a degree in biomedical engineering who trained in chiropractic at Davenport's Palmer School of Chiropractic. Meyer plans a tentative opening date of Nov. 11 for the clinic, which will be located in the West Medical Plaza at 411 Laurel St., Suite 2390. By being located at Mercy, "I can walk right down the hall and talk to the referring provider for that patient," Meyer said. "It allows us to really get an open line of communication going with the hospital providers. It also gives the doctors more flexibility to refer to a chiropractor. It just gives them another option to help people, and that's what it boils down to. And if we're not the right provider, we can send them right down the hallway." Moss said KC CORE clinics regularly refer patients to pain management and orthopedic specialists as well as family medicine physicians to provide access to care the chiropractors can't provide. KC CORE plans to open additional franchised clinic locations inside hospitals in Dallas, Houston, St. Louis and Denver within the next six to eight months, Moss said. He said he hopes to be able to bring the model to other hospitals within Mercy's network once the Des Moines clinic has proved itself to doctors. "If you're doing things that are research-based and patients are responding, the word kind of gets out," he said.